On behalf of Reflections School of Dance, we would love to invite you to come see us and the dancers at any of our performances this holiday season. We wish you and yours the very best this year! We would also like to take this opportunity to welcome all of our former students to join in the new year. January is Open Enrollment and Free Trial Class Month. We are expecting an influx so we encourage you to register now to assure your spot in class. Click here to see our Holiday Greeting video! Please feel free to Invite, forward, post or share this info with friends, family and the community. • In studio Holiday Open Houses for our dancers below level 2 during regular class times. • 10:00 AM Seattle Center House - Holiday dances performed by the dance teams only. You may purchase from our studio or on-line here to have it shipped to you. Also available for e-book downloads on Amazon, Barnes & Noble etc. Life in the Studio and Other Funny Things That Happen to Me, is Debbie's second book. The spiritual journey of, The Courageous Whisper, was a children’s book she wrote for her dancers in 2008. Having been involved in the world of gymnastics and dance since the age of 7, Debbie is aware that dance instruction is best taught in a practical setting, but this book sets a whole new stage for training. “Life in the Studio” is a whimsical look at the life of a dance studio owner and director. It is an attempt to encourage aspiring teachers and dance ministry leaders. Studio life is not exactly a rose garden but it is certainly never boring! If your dream is to someday teach dance or even own your own studio, your dream may very well come true. But….Ya know how, many times dreams have these sideways, illogical, unexplainable, parts? Read on. Dancers and non-dancers alike can chuckle and learn by reading the memoirs of this slightly tilted lady! You just might find a story of yourself or someone you know. On this link page you will also find Miss Debbie's very own book that she authored and which the Dance Recital 2008 & 2010 was based. "THE COURAGEOUS WHISPER" by Debbie Wiens. We want you to be inspired and enjoy great memories of Dance and the beautiful life story that Miss Debbie wants to share with every dancer. Available for pdf download or a few hard copies available only. Please feel free to let us know what you thought of both these books and your reviews. Always feel free to call, email or message us through Facebook to give us updates on how you & your family are doing. See our Web Site, Facebook Event Pages, or our Calendar for more info. Just a quick note to former students looking to return to dance this January. 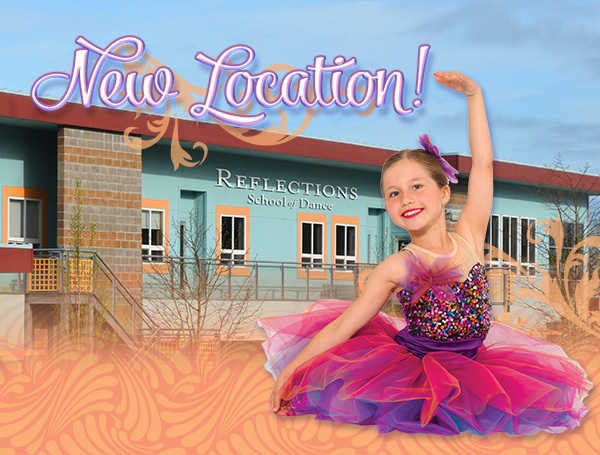 We are so excited about the explosion of energy & excellence that has hit the dance floor here at Reflections School of Dance as of late. Check out our new dance teachers here! Please feel more than welcome to drop in and take a free trial class in January to see for yourself what all the talk is about! We would strongly encourage you to register early to get your fist choice placement for the new year. Click here for new class availability schedule and brochure. Stay tuned in Spring for Summer Camps 2015 & the 2015-16 schedule. New: now you can register online here! If you have any questions always feel free to call us anytime @ 425-338-9056. Click Here to see the Recital 2014 “Reflecting Heaven on Earth” Video Montage. Check out our You Tube channel page with all our Videos and many more added all the time! We have about 600 uploads, 1100 subscribers and 480,000 views! Try to find yourself or someone you know. www.facebook.com/ReflectionsSchoolofDance - is our page where we post the most regular updates for all to see. Click "like" to see our regular updates (you don't have to be on Facebook to see it). We also have thousands of great pictures & videos. You just might find yourself or someone you know. 2013-14 Students & previous - we still have about 50 DVDs & Photos that haven't been picked up. If they aren't soon we'll ship them to you & invoice you. Check out the new photo gallery and video gallery on our website! Inspirational Dance & Random - Photo album with over 500 pictures! See this past weeks Mill Creek Magazine Cover here. See our recent collection of almost 150 cool random internet dance videos here. Check out information on our new classes such as Adult Barre Fitness, Cheer & Musical Theater. JANUARY Introductory Special: Half Price off all Adult Dance Fitness Classes. Keep in touch with our Monthly Saturday afternoon Workshops & our next upcoming event Dec. 20th Parent's Night Out! If you would like to add Miss Debbie as a friend, please check out her Facebook page here! See video: Reflections School of Dance on King 5 TV - Home Team Harvest & Photo here with Jesse Jones. If you're interested in connecting through other forms of social media, check out the links at the bottom of this email or on our contact page. Lastly, at this time of year end giving, would you could consider making a tax deductible donation to Give the Gift of Dance to someone that cannot afford class in our Scholarship program and to our nonprofit Dance Outreach Fund organization called "Youth Unlimited". Check out our videos & this photo album of the dance team that went to teach dance to children in Uganda, Africa in July 2014. Checks can be sent to Reflections School of Dance made out to "Youth Unlimited" or you can simply pay by credit card through our Pay Pal link noting that it's for "DANCE”. Thank-you for your support! We're excited to be able to use this new email format to keep in touch with you with our updated emails we send out about twice a year.